This month’s Sweatshop winner is Claire Tuffin. Claire has been involved at Mile End since the very first event and is part of the core team. She has completed 40 parkruns - 39 at Mile End and has volunteered 24 times – 13 as run Director. Even with a broken wrist she managed to organise an event. This year she achieved her ambition of breaking 30 minutes with a time of 00:28:33 at event 67. Her one run away from Mile End was in her home city of Plymouth. We'd like to thank Sweatshop for their generosity and to congratulate Claire on her achievement. The prize is a new pair of running shoes fitted at the local Sweatshop. The winner is chosen by the event directors. The successful candidates are often chosen for their perseverance, number of PBs in one month, total number of runs and improvement overall. However, we can award the prize for other reasons at our discretion. If you know someone who has overcome adversity, personal illness or is deserving in any other way, please let us know by emailing mileendoffice@parkrun.com and we promise to consider your nomination. This month’s sweatshop runner of the month is Joe Williams who has completed 15 runs at Mile End and 17 parkruns in total. In January he had 100% attendance. He has also volunteered twice. We'd like to thank Sweatshop for their generosity and to congratulate Joe on his achievement. The prize is a new pair of running shoes fitted at the local Sweatshop. Congratulations to Christina who started running Mile End in August and has achieved 7 pbs since. She has also volunteered on several occasions. She is running her first marathon in May 2013 (Edinburgh). We'd like to thank Sweatshop for their generosity and to congratulate Christina on her achievement. The prize is a new pair of running shoes fitted at the local Sweatshop. Another great week at mile end. A turn out of 63 runners with 20 first timers and 28 new pbs.. Thank you to Sweatshop Stratford for coming with vouchers for all runner - we have some left if you didn't get one. Email mileendoffice@parkrun.com to add yourself to the volunteer list. We could not continue without the support of the volunteers. Thanks to Mary, Steve, Ned, Jad, Neil, Helen, Sean and Richard. The results have finally been processed. There was a problem with the timer this morning. We realised early on and I had manually noted the times for the following positions 1, 2, 3, 5, 9, 13, 14, 15, 16, 20, 28, 31 and 32. In terms of points the positions for everyone are correct so the allocated points are correct. If you wish me to edit the time I have recorded for you then please e-mail mileendoffice@parkrun.com. And all the volunteers - Faye Wright, Ian Lamb, Richard Craven, Sophie Grant, Tara and Jason Massand, Katherine Brown, Catherine Buglass, Sharron Rooney, Claire Tuffin, Dena Franks, Mary Burkitt, Michael Buglass and Cathie Kamveri. We need helpers and runners this Saturday 28th January for our pilot : 1.30 for training and 2.30 to try out the route. We are delighted to announce the start of another new parkrun. 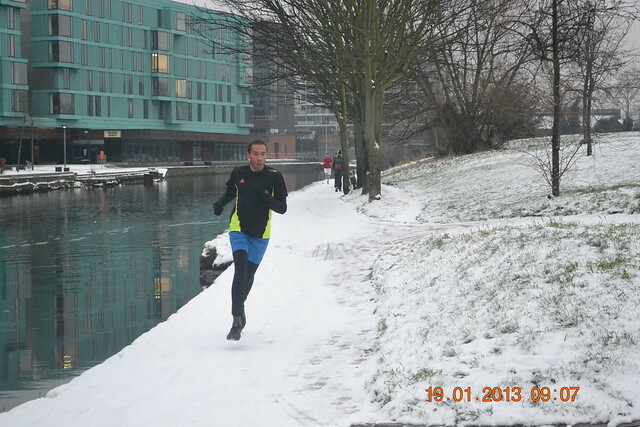 Mile End parkrun will take place every Saturday at 9am in Mile End Park starting on 4th February 2012.